Samsung has managed to generate a fair degree of buzz around its upcoming Galaxy S8 handset, but as leaked pictures of the alleged device continue to stack up – it seems we’re yet to see one that looks authentic. BGR has obtained yet another image which purportedly shows the new S8, but things seem fishy right off the bat. 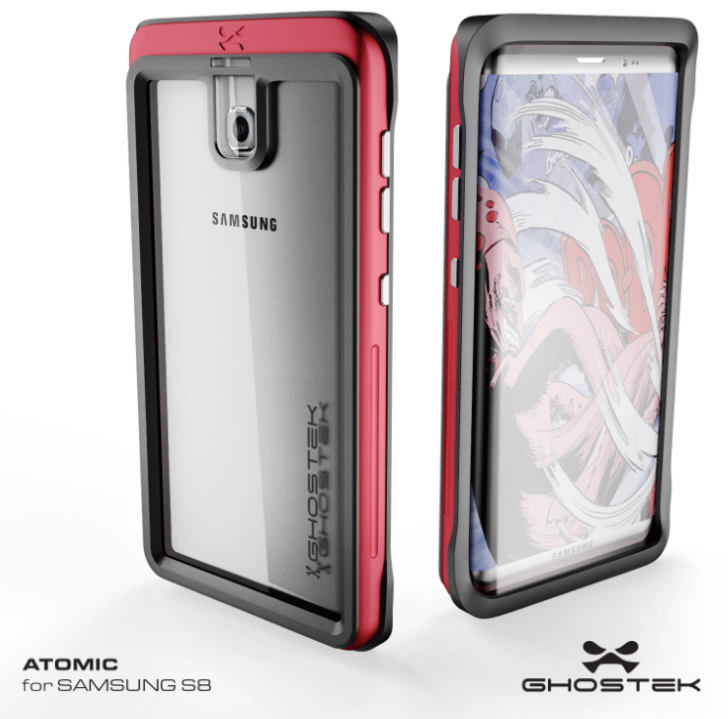 As the publication explains, the photo is a render developed by popular third-party smartphone case manufacturer Ghostek, which makes accessories for iPhone and Galaxy smartphones. The mock-up shows the alleged S8 wrapped around one of the company’s waterproof cases. While the render showcases a design that aligns closely with previous rumors, including a curved screen with little bezels and a missing home button, the mock-up resembles previous reports awfully closely – almost as if it was designed according to the rumors in question. BGR remarks it is not unusual for third-party case-makers to receive details about unreleased handsets in advance in order to stock up accessories ahead of official launches. The publication further adds that an undisclosed source said that the render is indeed based on data acquired from factories that produce Samsung devices, but it readily admits it hasn’t been able to confirm these claims. Which brings me to my main point: Assuming the sourced data is indeed accurate, the only thing this render could legitimately tell us about the upcoming S8 is its dimensions. The rest is merely speculation. Much like last week’s alleged leak of the S8, I’m hesitant to call the the render an accurate reflection of the real thing. Given how secretive Samsung has been with its forthcoming handset, the possibility that Ghostek managed to get its hands on such sensitive information is highly unlikely. The mobile behemoth is expected to unveil its new Galaxy S8 in the first half of 2017, but reports diverge as to when the exact date might be. While initial rumors suggested Samsung could reveal the handset at Mobile World Congress in February, more recent reports hint at a delayed launch in April as well as the possibility of an early limited release in February or March. So as long as Samsung continues to maintain radio silence about the launch of its flagship Galaxy S8, your guess is as good as ours.